It's that time of year again and reading poems about wonderful mums is hurting. Not that I don't love Mother's Day, I get lovely gifts from my boys, we go to see my mother-in-law and I send gifts to my step-mum. This will always be the case, I don't foresee any changes to the situation, there's nothing I can do to change it. My real mum is inconsistent and selfish. There I said it. That might sound harsh but I've been through a lot and when I needed her most she turned her back. I was 14 years old when she shattered my heart, she broke me. At a time when a teenage girl needs her mum most mine turned away. She denied me love, she called me a liar. And she will never know how truly broken I am because of her words. From a very young age I realised my mum didn't love me as much as my sisters. I have two sisters and to this day she sees them on a regular basis, even taking care of her other grandchildren. But I was different. I don't know why and I don't think I'll ever understand what I did wrong. I have tried, many times, to reconcile. I've given her more chances than I can count and in the end I had to cut ties. My little family matters more to me than anything else in this world and I will not allow an uncaring person to go anywhere near my boys. Even if that means denying them a grandmother. As I see it I am sparing them the heartache I've endured. Mother's Day always brings these feelings up and it always will, we all need a mother's love. I am a very lucky lady though, my two boys (and the Hubby) will make Mother's Day a great one for me, I can count on that. We'll visit my mother-in-law, chat and have tea, and then return home after a busy day. Although I won't get to see my step-mum I'll be sending her a card and gift and she'll know how much she has helped me through the years. To thank her for all she's done I've written a poem and sent gifts, but it will never be enough. She stuck with me through difficult teenage years. We fought, yelled and hated each other but she was there, she's always been there, and if we lived closer I know I'd see her all the time. From now on when I talk about my mum, this is who I'm talking about. A very special lady who took care of a broken child she didn't give birth to. It was a difficult job but she took it on and she did a fantastic job. 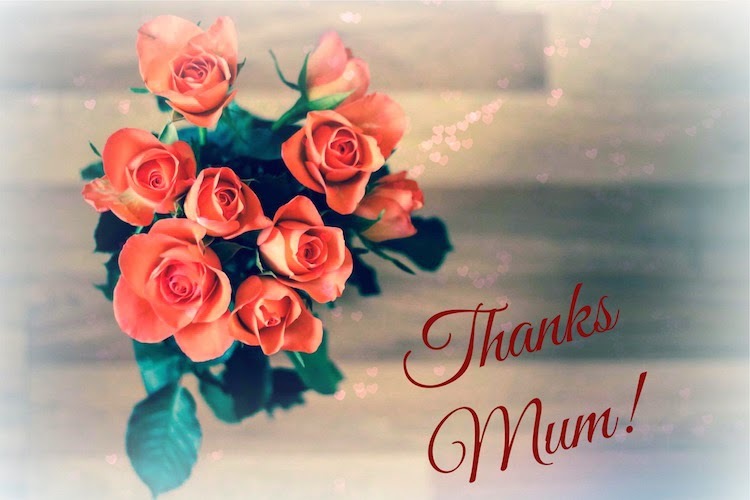 This Mother's Day please take a minute to thank your mum for all she has done. To have a strong bond with your mum is an incredible thing and you should NEVER take that for granted. Whether she gave birth to you or not she took care of you as you grew, she guided you the best she could, and you wouldn't be the person you are today without her. I'm sorry that you have had to cut contact with you other mum, that must have been very hard for you *hug* But I'm pleased you have a fabulous mum who has looked after you and a good family. Thank you Olivia, I was very lucky the woman my dad chose to be with was a wonderful woman.